Recently I noticed there is an increase of lizards activities in my home. When I get up in the morning at about 5-30 in the morning, I saw adult and small lizards scrambling away from my kitchen and also in the living room. Normally these lizards will hide in the PVC casing that covered up the electrical wires, the cupboards, behind doors and any small gaps that it can squeeze itself inside. My friend told me that perhaps there may be cockroches in my home. I do spray insecticide formulated for cockroaches once every 2 months in my home. I would sprayed the insecticide in the morning, leave the house for work and then see the results when I am back in the evening. I would normally see one or two dead cockroaches on the floor. I also pour generous portion of liquid clorox ( bleach ) into the floor trap of the bathroom once every 2 weeks; as cockroaches loves to stay inside the floor trap – as it is wet, dark and dirty. After pouring the clorox into the floor trap, do not use the bathroom until 4 hours later. That works quite well, as I no longer see small cockroaches coming out from the floor trap in the bathroom during the night. It is rather difficult to catch a lizard as it normally scramble to safety very fast when I turned on the light in the night. I tried chasing it away with a broom, of course it didn’t work but I done it to test it out. So I did the next best thing – I bought a trap specifically for lizards and roach from the supermarket. It is a simple do it yourself insect trap that you can assemble within minutes. Just remove the protective paper from the sticky surface in one quick motion – the base is very sticky. Then pour the bait that is provided in individual sachet onto the centre of the sticky surface. Lastly fold the trap according to the instruction shown and it is good to use. The box stated that the trap is effective for a period of one month. 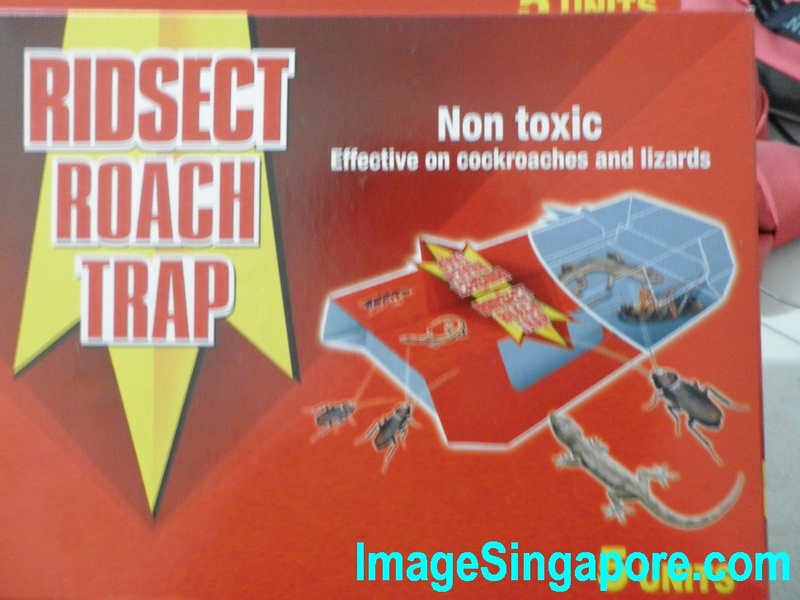 Throw away the trap once it is full with roaches and lizards. I tested it out in my home. I placed 3 traps – one in the kitchen, one in the living and one in the bedroom. Placed them in the location where the lizards or roaches are spotted. Normally these insects have the tendency to visit the same place again. I placed them in the morning and check on it during the evening when I came back home. 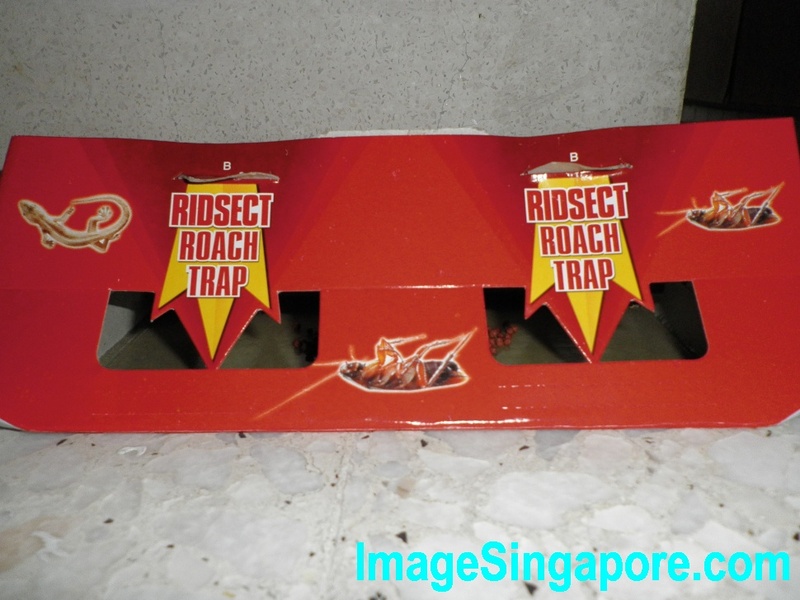 There was no insect in the 3 traps – I was expecting at least one roach or lizard trapped inside the trap. Nevetheless, I just left it there in the evening and carry on with my usual routine. The next morning, I checked on the trap again – I saw a large lizard inside the trap ( kitchen ), a medium size lizard inside another trap ( living room ) and a small lizard in the last trap ( in the bedroom ). The lizards were firmly stuck onto the sticky pad and appeared to be dead. There wasn’t any cockroaches found inside the 3 traps. So the conclusion is that the insect trap is effective. If you placed the trap in a location and see no results, you can change it by placing in another location. You can placed it inside your kitchen cabinet or on the floor, and near any dark or moist areas in the home. I still do regular spraying of insecticide once every 2 months and the insect trap is an additional measure to get rid of lizards and cockroaches in my home.